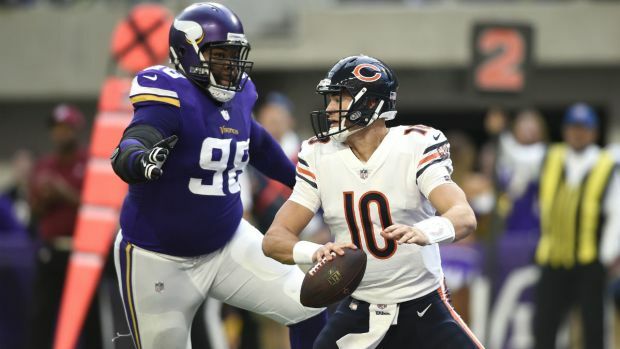 The Chicago Bears are busy filling out head coach Matt Nagy’s staff, and the team made several hires on Wednesday. The first hire came on their offensive line, as they announced the hiring of Harry Hiestand as their new offensive line coach. Hiestand, who coached the team’s line when they reached the Super Bowl in 2007, has made a name for himself at Notre Dame with a string of first round picks, including two potential first rounders in this year’s NFL Draft. The Bears have also reportedly hired their new special teams coordinator, as they’ve agreed to terms with former Browns coordinator Chris Tabor, according to the Chicago Tribune’s Brad Biggs. Tabor was an assistant special teams coordinator with the Bears under Dave Toub, and he will return to Chicago to replace Jeff Rodgers. Finally, the Bears have reportedly agreed to terms with Charles London to be their new running backs coach, according to Alex Marvez of the Sporting News. A former offensive quality control coach with the Bears, London would be the third coach that Nagy has hired that has ties to the Bears’ organization. The Bears still have not hired an offensive coordinator, but they are still in talks with defensive coordinator Vic Fangio about returning to the team, Bears G.M. Ryan Pace told a local radio program on Wednesday night. Fangio’s options to leave Chicago are starting to dwindle with the Green Bay Packers and Baltimore Ravens finding new coordinators. There are still jobs available, including positions with the Arizona Cardinals, but Fangio has not had any interviews outside of Chicago, so there is still a strong possibility that he remains with the Bears.